Imagine a film by David Lynch, Deepa Mehta, Sally Potter, or Yorgos Lanthimos, film makers who aren't beholden to linear narratives, plot lines laid out step by step, explaining every motivation, tying visuals to reality. Now imagine it accessible for all ages. This is what visionary director Ava DuVernay has made, a film which transcends the expectations of how stories can be, and should be told, a film which liberates its audience to feel its story, to fill in the missing pieces, to use their minds. 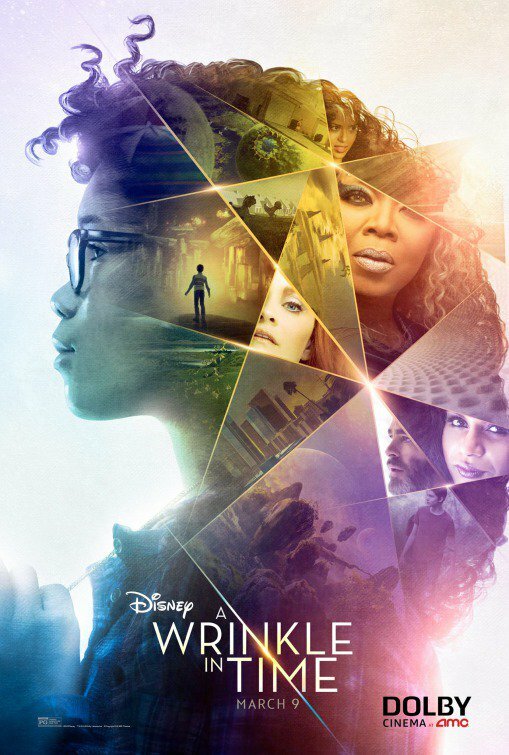 A Wrinkle in Time has been transformed here by DuVernay's imagination. She has created something which asks its audience to go on a different sort of an adventure, the kind which we have to participate in, not just sit back and be told something. She has populated her story with characters who bring a richer set of perspectives than we are used to and set them in a beautiful world (or worlds). And it's a beautiful adventure, designed to empower its audience. It couldn't do so if it held our hand all the way through. So much of its strength comes from the way it leaves interpretation open. A Wrinkle in Time is gorgeous, spectacular actually. Often a film like this can be overwhelmed by its special effects but here the worlds' fantastic elements strengthen the story. Her visual choices generate multiple, perhaps contradictory and confusing, emotions enriching the story. It is the way DuVerynay communicates the emotions of the film through her construction which was the most remarkable aspect of the film. I understand why films like this are hard for many. It is often easiest to guide people through a story, suggest how they are supposed to feel, and explain exactly why each thing happens. But for others, the idea of piecing together symbolic moments, exploring and wrestling with these conundrums, makes the film so much richer. As the film began its story, I found myself pulled deeply into its mysteries, its sentiments. I awed at the way it invited us in and as it played out towards a climax, more spiritual and intimate than literal, I lost myself in it, in its hero Meg and her flawed strength. I lost myself in the magic of movies. And I loved it.